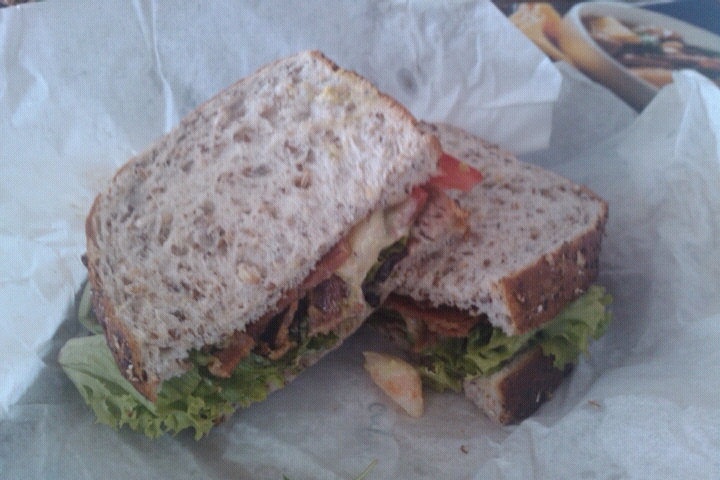 lunch | Happy nom nom nom-ing! A couple of weeks ago I signed up for Lunch on Lawson’s in Sydney. Basically, all you had to do was sign up to the free lunches you wanted to attend, print off the confirmation email and head to that restaurant on the day to pick up your free sandwich. So I spent the next 2 weeks driving around Sydney getting free sandwiches. Some places even gave out free loaves of bread. Yum! So here is my collection of lunches that I had during that fortnight. 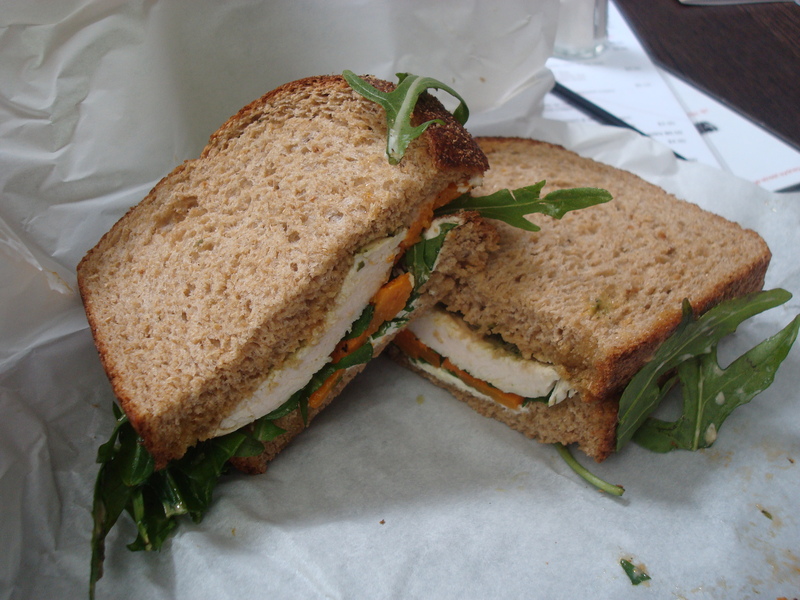 Stone Mill Wholemeal bread, spread with homemade semi dried tomato relish and filled with baby rocket, sliced roasted pumpkin chargrilled pesto chicken and brie. Original White bread spread with roasted garlic mayonnaise and filled with lime and peppered marinated lamb backstrap, grilled onion and capsicum with smoked paprika, XVOO, rocket and Roma tomatoes. Settlers’ Grain bread spread with Italian home made mayonnaise and filled with San Marino prosciutto, provolone cheese, wild rocket and semi sundried tomatoes. Original White bread, thinly spread with shipped mayonnaise and filled with wild lime pearl, pea tendrils, Alaskan snow crab, flying-fish roe (tobiko) and shredded iceberg lettuce. Settlers’ Grain bread, thinly spread with lemon aspen mayonnaise and filled with red oak lettuce, tomato, smoked crispy bacon rasher and cooked king prawn salad sprinkled with Furikaki seasoning. The lettuce, tomato and prawns have been dipped in herbal active powder. 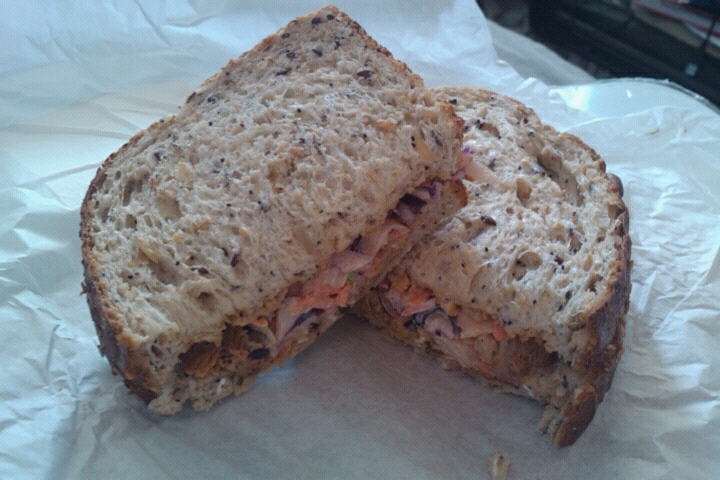 Homestead Seed & Grain bread lightly spread with whole egg mayo and filled with apple coleslaw and pulled pork. 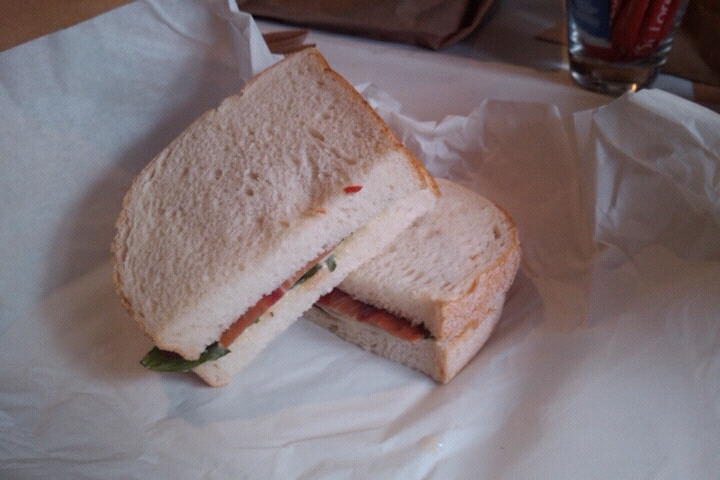 All the sandwiches were delicious. It was made even more so due the fact that they were all free. 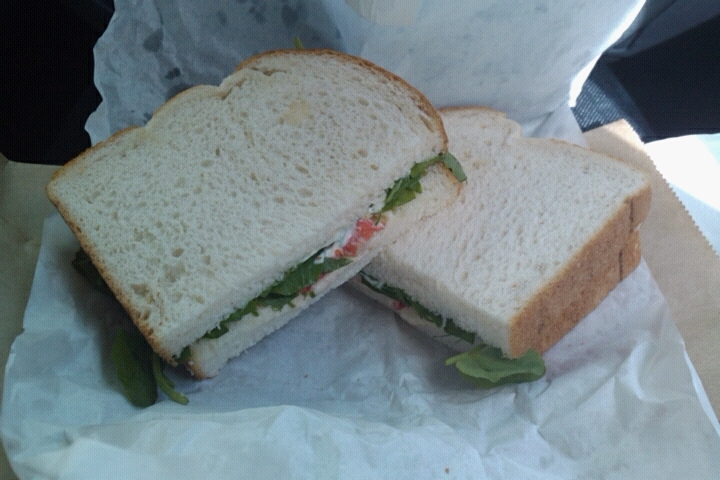 Unfortunately, none of the sandwiches looked like the ones photographed in the ‘Good Sandwich Guide’ booklet. My photos don’t do them justice. However, every time you go get a sandwich, they give you a ‘Good Sandwich Guide’ booklet with all the sandwiches they gave out all around Australia. This is good as it encourages people to try and make their own tasty sandwiches as all the ingredients are listed. Although they say this is a one off event, I hope they do this again in the future. It’s good marketing for Lawson’s. But they didn’t need to try and convert me. I buy Lawson’s bread all the time as the boyfriend loves it. But for now, everyone should sign up for the Chef’s Armoury FREE event. Hope to see some of you guys there. Long time no type. Just wanted to tell everyone about Lunch on Lawson’s. There are many restaurants around Sydney that are giving away free sandwiches this week and next week. Who doesn’t love a free lunch? 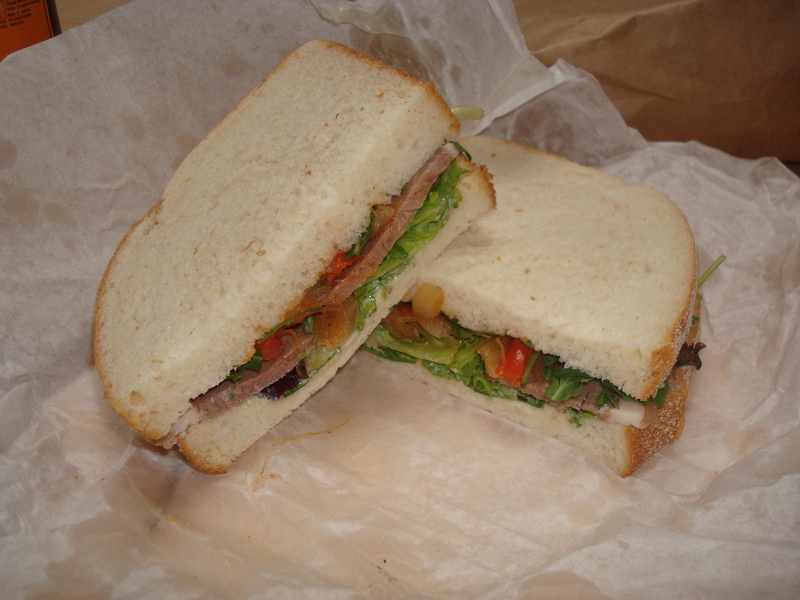 Just go to: http://www.lunchonlawsons.com.au/, register your details for a restaurant, print out your confirmation email and take it to the restaurant on the day of the free lunch for a free sandwich. Some of them look delicious! I will be going to most of them, but unfortunately I can’t make it to all of them. But everyone should take advantage of this freebie, it sounds delicious!